Thursday, August 10, 2017 at 5 pm. Creating Outstanding Results Everyday (C.O.R.E.) Academy is a charter school and has petitioned to HISD to become an HISD contract charter school. The HISD Board needs to waive a portion of EL(LOCAL) Charter Campus or Program, approve the partial application from CORE Academy, and authorize the superintendent to negotiate and execute a contract with CORE Academy. A Declaration of Beliefs and Visions is a statement of HISD’s instructional and operational philosophy and is HISD’s commitment to focusing all of its resources on students and schools. The HISD Board needs to approve the proposed changes to the vision and beliefs and the proposed mission, constraints, and goal progress measures. The HISD Board needs to approve the resolution requesting a school performance review by the Texas Legislative Budget Board (LBB). After the review and report are completed, the report will be available to the public. The HISD Board needs to approve the adopting of a monitoring calendar that describes the months during which student outcome goals, constraints, and progress measures are reported to the Board. The HISD Board will self-evaluate using the TEA Implementation Integrity Instruments each quarter. The Career Readiness Department is requesting approval from the HISD Board to adopt TEA approved innovative courses. These innovative courses allow students to master knowledge, skills, and competencies not included in the required curriculum. The HISD Board must approve the adoption of TEA Innovative Courses for use in career and technical education. Lone Star College System offers dual-credit course for students in grades 9-12 in HISD. The HISD Board must authorize the superintendent to renew the partnership agreement with the Lone Star College System for dual-credit course offerings. This partnership agreement term is from August 11, 2017 through July 31, 2020. UT-Austin OnRamps offers dual-enrollment course for students in grades 9-12 in HISD. The HISD Board must authorize the superintendent to renew the partnership with The University of Texas at Austin OnRamps. This partnership agreement term is from August 11, 2017 through July 31, 2020. Victory Preparatory Academy (VPREP) requested to close its school because of low enrollment and was approved by its Board of Directors. VPREP serves about 150 students in grades 9-12. Currently-enrolled students will be redirected to their zoned campuses or receive the opportunity to enroll at its south high school campus. The HISD Board must approve the closure of Victory Preparatory Academy North. Multivariable Calculus (MVC) is designed as a post-AP math course. The HISD Board must approve the designation of MVC as a high-school honors course that shall receive weighted-course credit. Contract Renewal with Firefly Digital, Inc.
HISD began using Firefly Digital, Inc. to collect magnet-school applications and to implement magnet-school lotteries. The HISD Board must approve a contract renewal with Firefly Digital, Inc. for management of magnet applications and magnet lottery. Baylor College of Medicine provides services to three HISD schools: Baylor College of Medicine Academy at Ryan, Baylor College of Medicine Biotech Academy at Rusk, and Michael E. Debakey High School for Health Professions. Through a contract renewal, HISD students at these schools will have the opportunity to work with BCM medical professionals and gain experience at hospitals and other health institutions. The HISD Board must approve the execution of a contract renewal with Baylor College of Medicine. 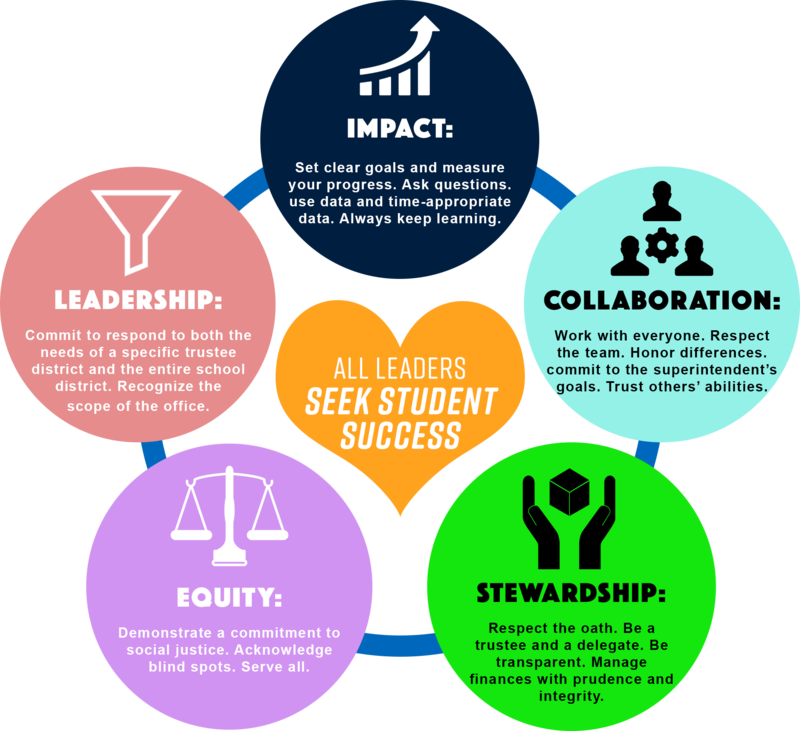 Franklin Covey implements The Leader In Me, which teachers 21st century leadership and life skills to students and creates a culture of student empowerment. The HISD Board must authorize the superintendent to execute a contract with Franklin Covey to implement The Leader in Me. HISD has a lease agreement with the City of Houston for the joint use of a portion of the Ralph Anderson Elementary School site for a city park. The HISD Board must authorize the superintendent to negotiate, execute, and amend a lease agreement with the City of Houston for the park located on the Ralph Anderson ES site. The HISD Board needs to authorize the superintendent to negotiate, execute, and amend a new lease agreement with JAA Enterprise. In April 2017, there was a realignment of available funds from the new schools project budgets in the 2012 Facilities Capital Program and the retaining of available funds from the renovated schools project budgets with the original assigned campus. These funds will allow the work required to address the programmatic and academic needs of Furr HS. The HISD Board needs to approve amending and creasing the design contract for Ebbert Furr HS. The 2012 bond elections approved the design and construction of the High School for Law and Justice. It is determined that specialty design and consulting services were needed for the school. The HISD Board must approve amending and increasing the design contract. The 2012 bond elections approved the construction and renovations at Northside HS. Since the award of the contract, the City of Houston reversed its previous approval to allow a connection to an existing six-inch water line next to the project site. The City now requires the two-inch domestic water meter’s water line to connect to the existing main waterline across Quitman Street. The 2012 bond election approved the construction of a new addition and renovations to Thomas Pilgrim Academy. In April 2017, the HISD Board approved the realignment of available funds, which will allow the incorporation of work required to address the programmatic and academic needs of this campus. The HISD Board must approve amending and increasing the design contract for Thomas Pilgrim Academy. The 2012 bond election approved the renovations and additions to Westbury HS. In April 2017, the HISD Board approved the realignment of available funds, which will allow the incorporation of work required to address the programmatic and academic needs of this campus. The 2012 bond election approved the renovations and construction of an addition to Woodrow Wilson Montessori School. In April 2017, the HISD Board approved the realignment of available funds, which will allow the incorporation of work required to address the programmatic and academic needs of this campus. In August 2009, the Board approved $13.5 million to be allocated to additional facility projects in each of the nine trustee districts, for a total of $121.5 million. Since then, the Board has approved various projects, so there are cost savings that can now be allocated to address other needs in the district. Trustee Rhonda Skillern-Jones is requesting a budget allocation of $231,645 be provided for capital-related improvements, and the funds will come from the allocations that has been allotted for District II. A critical need exists for the replacement of roofing systems and heating, ventilation, and air conditioning systems at a number of HISD campuses. A budget of $7.5 million is requested to address these needs. The HISD Board must approve establishing a budget for facilities capital replacement projects. HISD has been identified as a Chapter 41 district. All Chapter 41 district’s Board of Education has to submit an annual contractual agreement to the Commissioner of Education by Sept 1 each year. The HISD Board must approve the Agreement for the Purchase of Attendance Credits from the state. The Board will approve the revisions to policy on reporting campaign funds to improve ease of filing for board election candidates and trustees by providing electronic filing as a method for reporting campaign contributions and expenditures. Board policy requires all candidates to file a report of all contributions received and all expenditures made by the candidate and his/her treasurer and assistant treasurer. The Board will approve the revisions to policy on employee conduct. This change will require all employees to attend ethics training on conflicts of interest, the Code of Silence, gifts from vendors, and general policy violations. The Board will approve the revisions to policy on academic achievement as it relates to GPA calculation. For school year 2017-2018, there are about 6,000 students with disabilities that will require educational and related services beyond what is offered on school campuses. The HISD Board needs to authorize the superintendent to negotiate and execute the renewal of agreements with community agencies and/or educational service providers. HISD collaborates with four federally funded Head Start Agencies to create effective prekindergarten collaborative. HISD and Head Start teachers will collaborate and deliver instruction to dually enrolled students in 101 prekindergarten classrooms. The HISD Board needs to authorize the superintendent to negotiate and execute agreement renewals with Avance-Houston, Inc.; Gulf Coast Community Services Association; Harris County Department of Education; and Baker Ripley for Head Start Prekindergarten Collaborative Programs. The Harris County of Juvenile Board (HCJB) establishes and operates a Juvenile Justice Alternative Education Program (JJAEP) for students who are expelled from school. The HISD Board needs to authorize the superintendent to execute a renewal of the agreement with the HCJB to ensure the continuation of the JJAEP for expelled students for school year 2017-2018. The HISD Compensation Manual outlines the policies and procedures that govern compensation for the district. The HISD Board must approve the 2017-2018 HISD Compensation Manual. The HISD 457 Deferred Compensation Plan enhances the retirement security of employees by offering pre-tax savings and income-tax deferral via automatic salary reduction. In 1997, the HISD Board first established the voluntary HISD 457 Deferred Compensation Plan effective January 1997. This 457 Plan restatement will replace the current plan document HISD 457 Deferred Compensation Plan – Restatement Effective January 1, 2012. The HISD Board must approve the resolution authorizing adoption of the HISD 457 Deferred Compensation Plan – Restatement Effective January 1, 2017. List of donors: Kinder Foundation c/o Houston Independent School District Foundation; Bo Porter Sports, Education, Life Skills, and Faith Foundation (SELF); Harvard Elementary PTA; First Presbyterian Church; Travis ES PTA; Port of Houston Authority; Satterfield & Pontikes Construction Inc.; Frank Black MS PTO; UT Medical Branch, National University; Carnegie Vanguard High School PTO, Roberts Elementary PTO. List of grantors: Laura Bush Foundation, Children’s Learning Institute through the U.S. Department of Education, U.S. Department of Health and Human Services Healthy Tomorrows Partnerships for Children Program, TEA, Rockwell-Simmons Foundation via HISD Foundation, University of Texas Health Science Center at Houston, Powell Foundation via HISD Foundation, TEA Literacy Achievement Academy Teacher Stipends, TEA, Asia Society, Mental Health America of Greater Houston, CASE for Kids (a division of Harris County Department of Education), Department of State Health Services. The HISD Board must approve the short-term extension of the engagement of 2015-2016 panel of law firms to provide legal services through December 31, 2017. HISD can appoint a representative to the board of directors of each tax increment reinvestment zone (TIRZ) with the City of Houston. The HISD Board needs to approve the appointment of David Johnston – TIRZ 1 (Lamar Terrace). The HISD Board needs to endorse Charles Cunningham’s candidacy for election to the board of the Texas Association of School Boards as a director from Region 4 Position B.